Social Progress: Marc Edwards and LeeAnne Walters, a professor and mother who helped spread awareness of the water crisis in Flint, Michigan. History: Sarah Parcak, a “space archaeologist” who uses satellite imagery to discover ancient sites. Youth Achievement: Christopher Gray, a high-school student who developed an app that helps students find scholarships for college. Technology: Jeff Bezos, a rich businessman whose Blue Origin company is making big advancements in space travel. Visual Arts: Ok Go, for its zero-gravity music video. 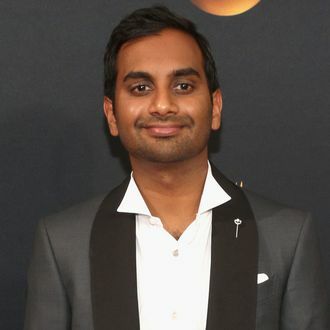 Performing Arts: Aziz Ansari, for his “fresh and innovative television show” Master of None. Education: David Lynch, for promoting the benefits of transcendental meditation in “high-stress” schools. Physical Sciences: Kip Thorne, Ray Weiss, Barry Barish, and Ronald Drever, for observing gravitational waves for the first time ever. Life Sciences: Anthony Atala, for his work on 3-D-printed blood vessels.